Years ago, the only option for decent, compatible document handling (word processing, spreadsheets, presentations, databases, diagrams, etc.) was purchasing Microsoft Office and other software packages and investing $500 or more. Well, another option is available for download and it has all the features you or your small business would need in an office suite. The only part missing to this would be a calendar and contact management program such as you would find in Microsoft Outlook. 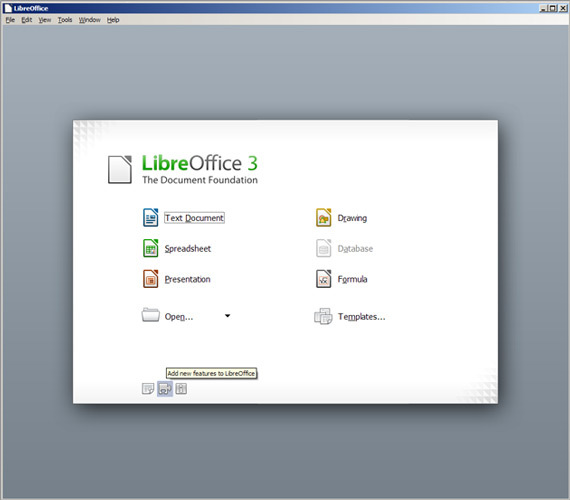 LibreOffice works on Windows, Macintosh and GNU/Linux operating systems.If you are familiar with older versions of Microsoft Office, you could probably handle this software with your eyes closed as it looks similar to Office 2003. It will also allow you to save files in the new Microsoft formats such as DOCX and XLSX. One really great advantage is that this program (unlike current versions of Microsoft Word) can open older documents such as files created by Microsoft Works or by twenty-year-old versions of Word and Excel. It also imports files created by Lotus WordPro that you probably can't open with anything else, and opens files created by WordPerfect for the Macintosh that can't be opened in WordPerfect for Windows. LibreOffice is a work in progress, so it isn't perfect, but it far exceeds the expectations for a free open source program. This one is worth a closer look.